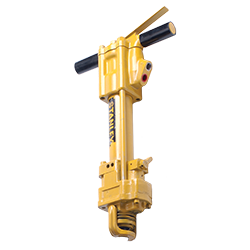 The Stanley HD45 underwater hammer drill is a heavy duty underwater model designed concrete, rock and masonry drilling up to 2". Fluted drill bits require no water or air to clear holes. 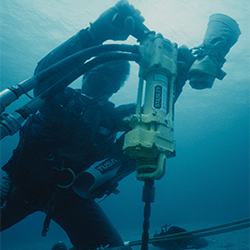 Ideal for drilling holes for setting anchor bolts.